If you have had times wherein you feel completely uncomfortable while you are seated at the workplace, the chances are that you are not using the right kind of office chair. If you spend more than four hours on one particular chair, it needs to be something that is good for your body and which doesn’t cause it any kind of pain. Unfortunately, offices don’t always give the best kind of chairs, and sometimes, it takes a little personal effort to get a chair that is good for you. Before you head on out to pick out an office or drafting chair, it is essential to know what you need to be on the lookout for. Not every office chair is built the same, and they don’t function the same either. Because of this, picking out a chair that is right can be hard, and knowing what to look out for can make the process a lot easier. 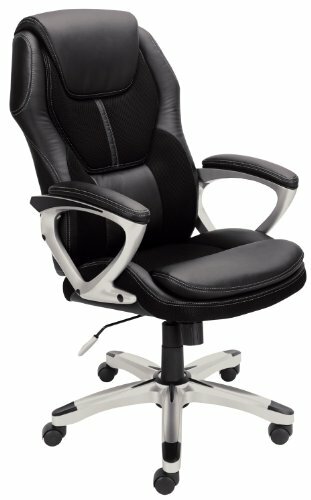 What Constitutes A Good Office Chair? 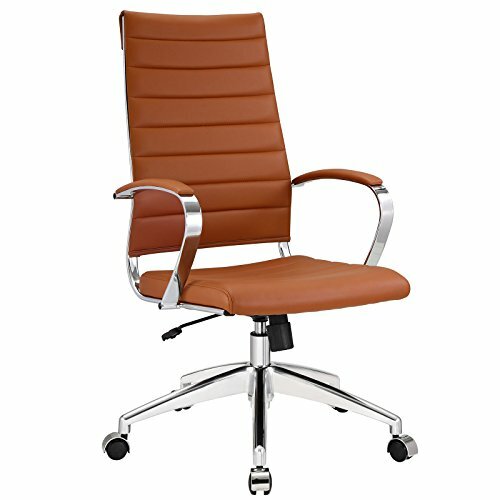 One of the first things one needs to be familiar with is the factors that they need when buying an office chair. Because of the many different types of chairs available on the market, not all of them offer the same features. It is incredibly helpful to know what features alter the way the chair feels and performs, and which features are just add-ons that aren’t necessary. A good quality office chair should first be comfortable. Comfort is one of the main factors that make up a good chair and is something that a lot of people prefer to take as their main priority when buying this product. Generally, chairs that have a good amount of cushioning, and which have an ample amount of backrest are ideal in this instance. A good office chair should also have adjustable parts. Not everyone likes the same height for their office chairs. Things like the height, handles, backrest, and seat should be adjustable to fit ones own seating style. This is also something that can further contribute to the comfort that one experiences when sitting on a chair. Before getting into the products that would be good for your workplace, it is essential to be familiar with the different factors that constitute the overall efficiency of a chair. These factors might not all be present, but the more the number, the better functioning the chair is going to be. As mentioned before, not all people like their chair at the same height. Some people prefer having their chair seat much lower than the table, while some prefer having it closer to the surface. Some people like to have a high backrest that extends above their head, while some people prefer a backrest that stops at the neck. No matter what your preference, it is essential to find a chair that fits the preferences that you have. Most office chairs have adjustable height options, so you can increase or decrease it, depending on what you like and what you prefer. Having a chair that is adjustable in height is also something that is beneficial for ones back and overall posture. Having to look at a screen that is not at the correct length can cause problems in the spine, which is why a proper seating height is always advised. The Width of a chair is always something that affects its overall comfort. If you have ever sat on a narrow chair or stool, you know how uncomfortable it can be just for a short while. When at the workplace, having to sit on something that is narrow for extended periods is not only uncomfortable but can also lead to back problems. Because of this, it is always advised to go in for a seat width that is bigger than you. You should be able to sit comfortably and move around in the seat. Your body should not be pressed to the side of the handles since that can make sitting for long periods more uncomfortable than it needs to be. The length of the seat is also something that must be accounted for. When seated upright, the legs must have at least 2 inches of space between it and the seat. This can make the chair a lot more comfortable and easier to sit on for longer periods. Generally, most chairs that are available on the market tend to have a width of 17 to 20 inches. One of the biggest reasons people tend to go in for good ergonomic chairs at the workplace is because of the back and lumbar support that it provides. Not having a good chair that is comfortable and well structured can lead to a host of back problems. If the chair is not well structured, it can also lead to a person facing slouch problems. All of these can be reduced by simply investing in a good quality chair that doesn’t have any flaws in its functionality. A good quality ergonomic chair should ideally have good lumbar support and should have something that feels comfortable on the lower back. One of the final things that one needs to look out for when trying to buy an ergonomic chair is the kind of material that is it made out of. Normally, chairs are made of some kind of metal structure and have faux leather seats. The material that the chair uses should be breathable and should not be something that makes you sweat too much. Fabrics that feel like cloth are generally the best suited for this. The cushioning inside the chair should also be made of good quality, and should not be too hard, or too soft. It is important to remember that over time, the seat cushion will soften further, which is something to account for when finalizing on your purchase. Now that you are familiar with the general structure of an office chair and all that it constitutes, it is time to get into the products that are worth mentioning on this list. Because finding a good quality office chair can sometimes be a hassle, we have shortlisted ten options for you to make this entire process a lot easier. Considered to be one of this year’s bestsellers, the Modway Articulate Ergonomic Mesh Office Chair is a product that a lot of people have been incredibly satisfied with. The product comes in eight different colors and has a range of adjustable options to make sitting on this easier. 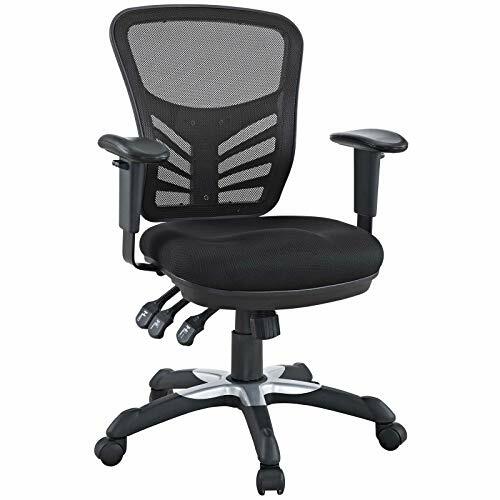 The chair has the standard lumbar support system that office chairs tend to have, and also comes with a contoured seat cushion. If you want to be at your most comfortable at the office, the Sihoo Ergonomics Office Chair is one option that you can go in for. The design of the chair stands out because of the foot pedal, which is fully adjustable. Furthermore, it has an elongated backrest and an adjustable cushion on top. The chair has contour seating and adjustable armrests in addition to the other features. 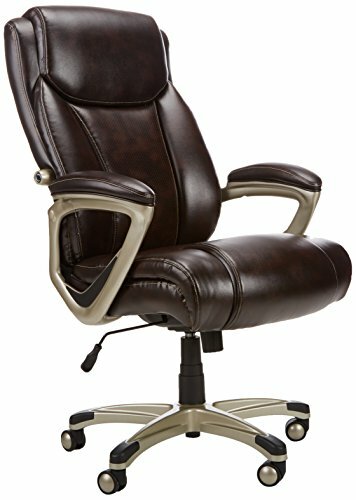 The AmazonBasics Big & Tall Executive Chair is a product that has outshined others in terms of the comfort that it provides. This office chair has cushions throughout the body, and also the handles making it one of the best to sit on if you are working for extended periods of time. The frame of the product is also made of incredibly good quality steel, making this a great chair to go in for if you want something that would last longer. 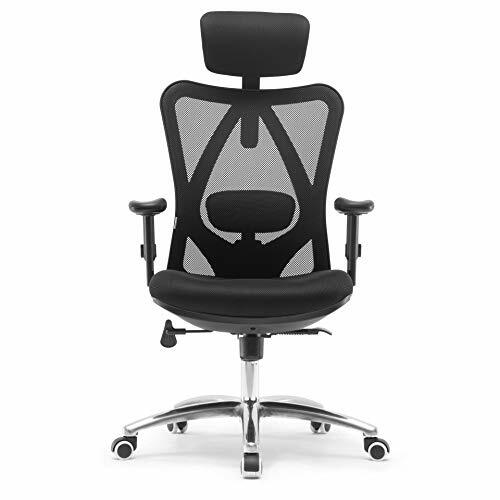 If getting a chair of your ideal height if your main priority, the Komene Ergonomic Mesh Office Chair is something that you should consider. 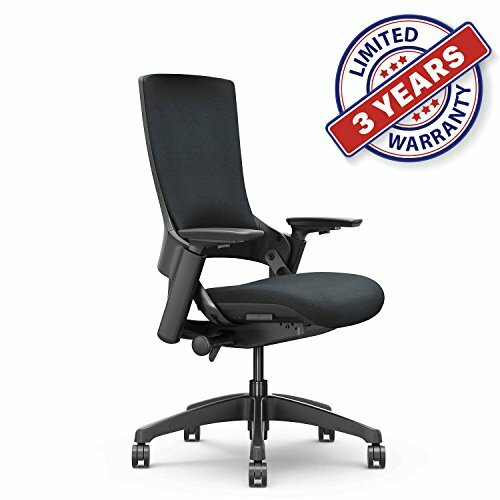 This ergonomic office chair has one of the best backrests for those who are taller and need a chair with more height than the others. The chair also has a great curvature, which is especially great for those who face back problems when sitting for extended periods of time. Sometimes, having an office chair means that you get to have something that is nicer than all of the ones that are being used around you. The Modway Jive Office Chair is something that looks incredibly sleek and stylish, making this a great fit for anyone who wants to look good at the office and stay comfortable at the same time. 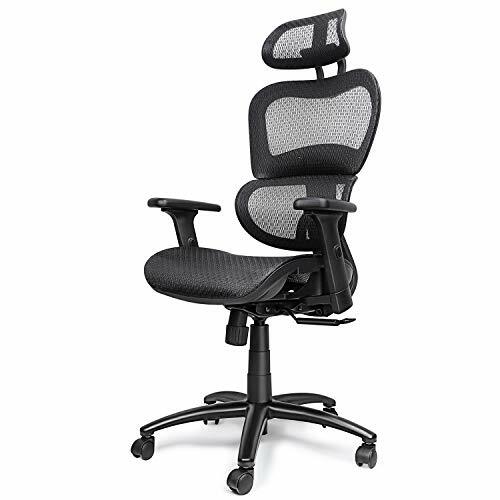 Serta Works Executive Office Chair is another product that was specifically designed for those who face back problems and need a chair that provides support and good cushioning. The product is considered to be incredibly comfortable and comes in a range of colors. The design of the chair also looks good, which is a big positive in favor of this product. The product also has variations for those who want a chair with a wider seat. 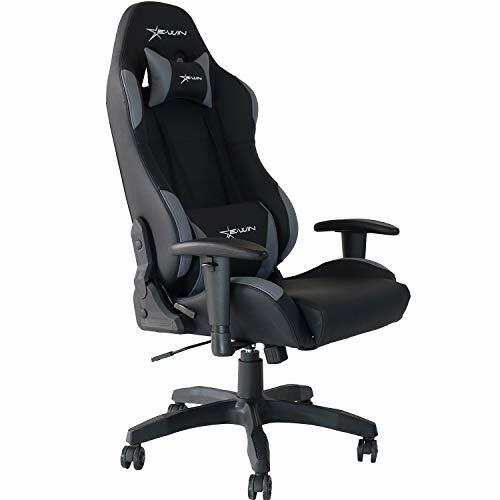 Even though a gaming chair might not seem like the best fit for an office environment, it is something that will definitely offer you the best support and comfort among all the options. Professional gamers usually spend ten to twelve hours in their gaming chairs, which is why these are designed for superior performance and support. The chair is also made of good quality fabric and has an incredibly strong frame for maximum durability and functionality. If you are on the lookout for something that will last you a considerable amount of time, the Songmics Thick Executive Office Chair is one product that will fulfill that need. 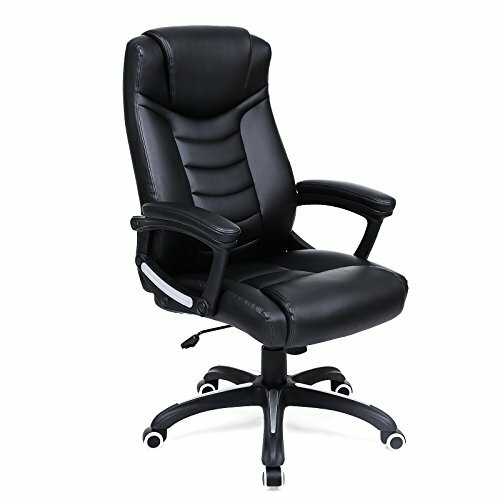 The Songmics Thick Executive Office Chair is one of the best performing chairs on the market and is known for its tough frame and soft cushioning. The product also comes with a thirty-month warranty in case anything goes wrong with the chair. If you want a chair that can withstand it all, the Anda Seat Premium Gaming Chair Dark Wizard Series is the one for you. This chair boasts of a carbon fiber frame that is incredibly strong and resistant to damage. The chair has multiple layers of cushions and has a good amount of back support. 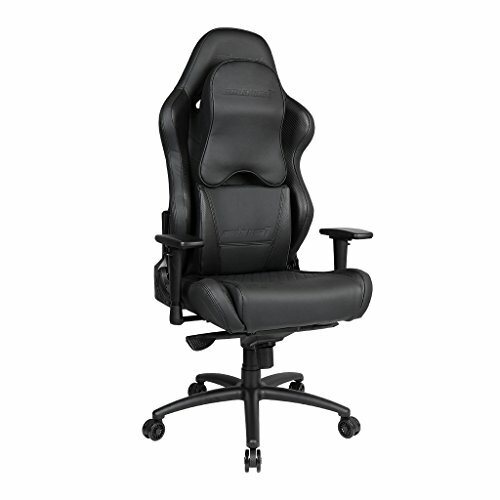 The gaming chair is adjustable on all ends, making this a good high-performance chair to buy. If you are looking for something that is simple and efficient, the Ergonomic High Swivel Executive Chair is the answer for you. This chair might not be the fanciest looking one among the list, but it is definitely something that does the job of being a good ergonomic chair. The entire product is fully adjustable and has multiple additional adjustment modules to help you get it to the right position.